This Page has been created to house everything we think is great to know for witnessing. We’ll keep adding to this as we write new witnessing related posts. 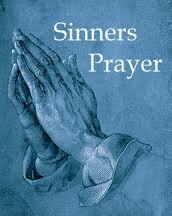 So far we’ve got the Romans road, and a great version of the sinners prayer. We genuinely hope that through these tools, you are equipped and make a difference winning souls for the kingdom. 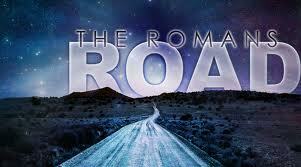 Take a walk with a loved one, down the Romans road. When we’re born into this world we are born into sin nature. We are under it’s rule. And until we accept Jesus into our life, we are subject to it, and had no way out. We are born as employees to sin. Everyday without Christ we outwork sins purposes and whims. Our sin nature and the voice of the enemy tries to compel us to do things that may feel rewarding and fun, but is only being rewarded with a big fat paycheck of eternal separation from Christ. Death. It’s important to note that this death isn’t our physical death, which we all must face, but spiritual. Our eternal life. And while we work under sins law, there’s only one place we can go. And it ain’t heaven. Practical Witnessing Tip – The best way of approaching this is by letting the person you are witnessing to know that our sin nature, which we were born into, and had no choice about is actively trying to separate us from God. And that if you hadn’t asked God to come into your life, and were to have died, you too would end up in hell. No if’s, buts, or maybes. It’s black and white. This is a great place to share your heart, and let them know that it would hurt you to see them not make a decision for Christ and end up in a place that the bible describes as The Lake Of Fire where all the lost people will be in torment together. This is a great place to also point out that this lake, Hell, was never created for us, but for the judged angels. And that Satan won’t be ruler down there. He too will be judged and punished, and that he is all too aware that he faces eternal torment, and that he wants nothing more than to bring as many down with him as possible to stick it to God, because it is His desire that none of us perish and end up there. It breaks His heart! This is the best part. This our happy ever after. God, not wanting to see any of us separated from Him, made a way out of it for us. He sent His only son, who he loved to die for us. In actual fact Jesus became sin, became everything His father hated and had to go to hell. God had no choice. Sin has to go to hell, and as Sin, every sin we have or will commit, the only place for him was hell. But as our sin, he died that death for us so that we wouldn’t have to, and made a way for us through Him, to heaven. Practical Witnessing Tip – Just go through the story above, the ultimate love story. And at our core, whether we admit it or not, we all love a good love story! Plus this has a happy ending. While in hell Jesus took the keys to life and death, and opened Heaven up to all of us who weren’t his original chosen people! This step of the Romans road shows that it was always God’s plan to redeem us, to offer us a way out of the certainty of an eternity away from Him. It breaks God’s heart every time one of us leaves this earth to spend eternity away from Him, because He created us for relationship with Him. So while we went on sinning and remained ignorant He devised a plan that would set us free, but it meant seeing His own son sent to hell. Now that is an amazing measure of His love for us! Practical Witnessing Tip – This is a great time just to talk one on one about God’s great love for us, and how it has no measure, and that it eclipses any feeling of love we could ever experience for any person. He loved us so much, he paid an amazing price so that we could be free. And that plan had been laid down from the very beginning of time. This is probably the most vital step, followed of course by the recognition of having sinned and needing to be forgiven. This step requires all travelers down the Romans Road to confess that Jesus is their Lord and Savior and that they believed He was raised from the dead. Confessing this, is as the rest of the scripture says the way to salvation. In doing this step, you’re also acknowledging that you are your life is forfeit and that you are taking on Christ likeness, meaning that you know you weren’t living your life right, and that has to change. Practical Witnessing Tip – If you’ve made it to this stage they are probably already at a stage where they understand that they have lived a life of sin and that Jesus is the only way out of that sin. It can also be the hardest step, sometimes people require a demonstration of power before they will believe, but that’s okay. Our God is God who likes to show himself. He likes to prove to us that he is real and living. This is a great time to ask Him for a word of knowledge, pray for a healing, or just ask for the holy spirit to touch them and invite God to reveal himself. Don’t worry, He Will. He’s got your back!! From the moment we were born God has given us opportunities to find Him and come into a relationship, and even if you turn your back on Him now, He will not turn His back on you. He will stand and knock and hope that you open the door to Him. His relationship is really so one sided. We open the door and He gives us the desires of our heart, dines with us, and ensures our place with Him for salvation! Practical witnessing Tip – If the person you were talking down the Romans road wasn’t open or receptive, don’t force them. Love them! God hasn’t forgotten about them, and He will keep knocking and hoping that they will open the door to the them. But don’t stop witnessing either. 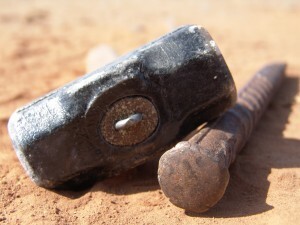 God uses us as His tools on this earth. If you aren’t sharing the word with them, or telling them of his love, or of the miracles you’ve seen, there’s a good chance no one else will! Most importantly, be a good representative of Jesus. Don’t tarnish His image with your actions. Your life is a testimony. Don’t be afraid to share it!